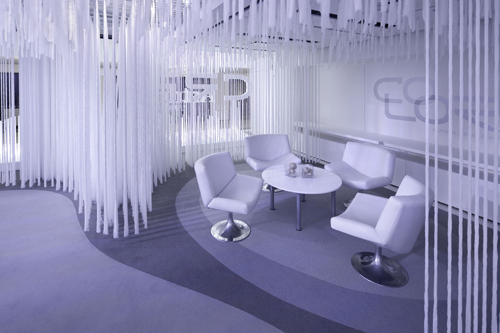 Design firm Perkins and Will Branded Environments used LED lighting to create their award-winning showroom at the 2011 NeoCon Show in Chicago. 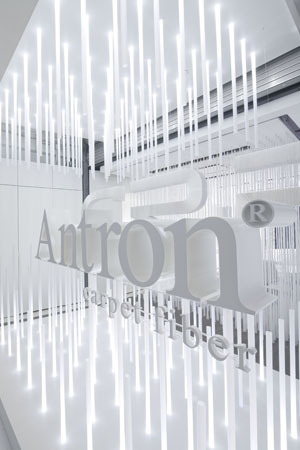 Our lighting was used to uplight frosted acrylic tubes in a display at the entrance to the Antron showroom. Fabricated by Ndio Inc., the fresh and striking design and execution of the display took home the award for Best Small Showroom 3000 Square Feet or Less, and was noted as Best of Competition 2011. They also used the transformative quality of RGBW lighting, combined with the DAZZLE RGBW Zone Controller, to control the overall color of an area as well as individual areas for corporate events and bring their brands to life. 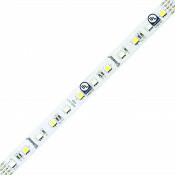 The addition of white light means that a wider range of colors (including pastels) can be achieved to better set the mood and identity of the event. 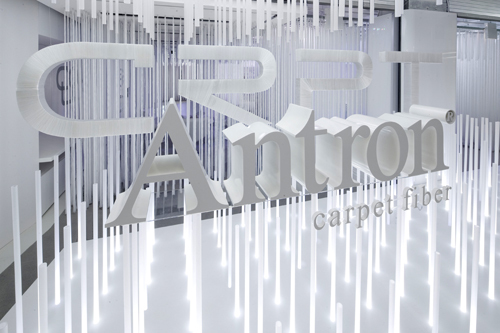 Antron is the brand name of a commercial carpet fiber manufactured by Invista. The display at the entrance portrayed the advanced soil-resistant fibers with the bright, clean light of LEDs, and pulled it off beautifully. And this carpet fiber is even certified as an Environmentally Preferable Product! The NeoCon Show took place at Chicago's Merchandise Mart from June 13 - 15, 2011 as a gathering for architects and design professionals. The event's keynote speakers includes film and television set decorator Amy Wells, who spoke about her work as a set decorator and the relation of interior design to her craft.